I'm looking for interesting pieces for my family room. 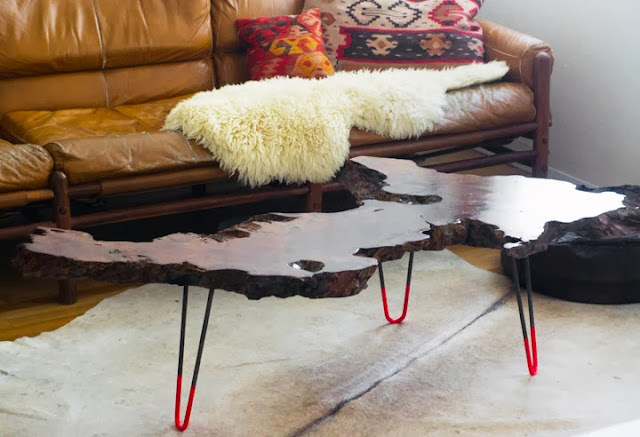 The Brick House Is an awesome design site. Once you get on this site you get lost in it's glorious wonder! Was that too much? 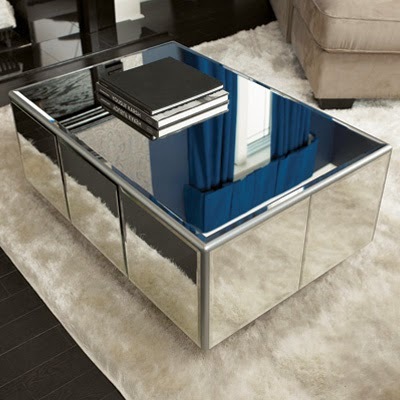 Anywhooo in my search for coffee tables I stumbled on this beauty. So easy and so unique, the hardest part will be finding the piece of wood. This is a must share and I am on the search for an awesome piece of wood so I too can build a table. Wish me luck. Sweet baby Jesus, I just went online looking at prices for slabs of wood and I almost choked on my spit! Unless I get a donation this is outside the realm of my reality! I also came across this table on-line in Home Depot Projects. I like a lot but when I read the instructions all my hopes were gone. I don't have the tools to make this project as shown so I'm still looking. (I'm going to keep this on the back burner because I may be able to work it even without some of he steps) but it's definitely worth sharing. Get your DIY on!